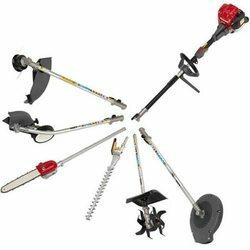 We offer an extensive range of Multi Tools, which is used for lawn-care and soil cultivation to clearing jobs. These are perfect for working on any terrain and provided with the pick tine, de-thatcher and power sweep. Customers can avail Brush Cutter from us as per the industry standards. We offer Brush Cutter to our patrons as per their needs and in the committed time frame to meet the market demand. Our Brush Cutter is manufactured by our experts from high grade quality material. Moreover, the offered product is durable too. We are pioneer importers and suppliers of high quality lawn grass cutter machine. 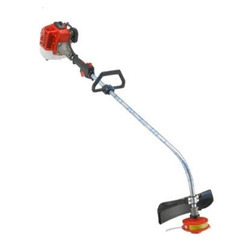 It is used for cutting grass in lawns, gardens, public areas and industries. Riding on unfathomable volumes of industrial expertise, we are providing a broad array of Commercial Brush Cutter. For our honourable patrons, we offer a distinguished assortment of Cordless Electric Brush Cutter. Green Kraft Agritech Solutions Pvt. Ltd. Cutting Height: 0.5 to 4 inch. Our company has gained name and fame in presenting Electric Grass Cutting Machine. - Light design, good balance performance. - Strong power, high reliable performance.